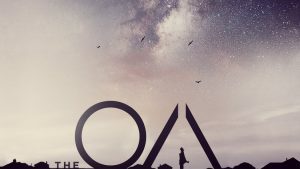 Netflix’s The OA is a special kind of science fiction. Creators Brit Marling and Zal Batmanglij explore the boundary between life and death within a world of damaged people. Kyle Willoughby and Claire White delve into the show’s provocative source material and the longstanding collaboration of the creators. Claire discusses humanity’s ongoing fascination with Near Death Experiences from the time of the Ancient Greeks to modern day. Kyle describes the development of Batmanglij and Marling’s careers and how they went about creating and pitching a show that revolves around NDEs. Our hosts conclude with their thoughts on the series’ direction, its performances, and what they hope(d) to see more of. Previous 37: OA – Show Notes	Next We’re Going Biweekly!